When it comes to tinkering in sheds and with it, building on big ideas, there is no country better at it than Great Britain. We are the kings and queens of building, bodging and general faffing. The rest of the world will break – or simply need something – and then go out and buy a new one. Here in Blighty, we see such moments as ripe opportunities to pop into the shed and build something. Or cover what was once broken in No More Nails and tape. It’s one of those things that makes us British, and we wouldn’t change it for the world. 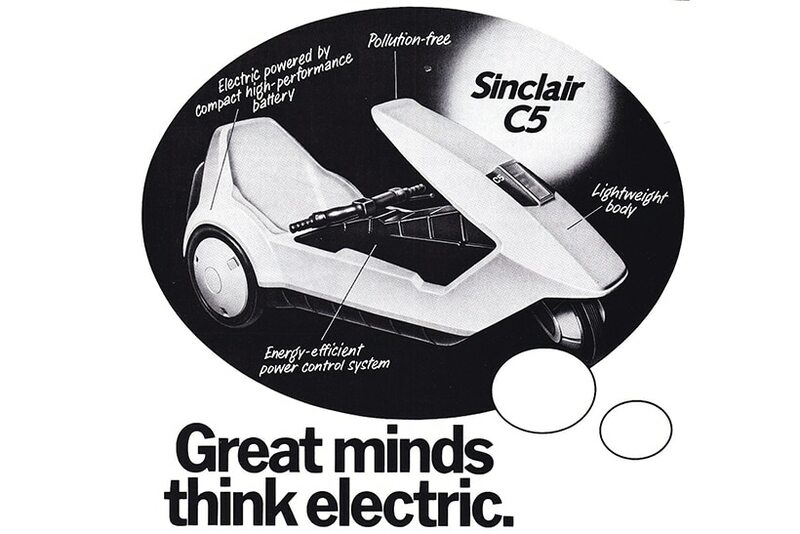 One man who took this train of thought to its very limit was Sir Clive Sinclair. And yes, when you read Sinclair, we are talking about the same person who gave us the ZX Spectrum, complete with excruciating tape-loading games. Elite being a particular highlight. Now that’s all well and good, but what does a man called Clive and a computer that you played Chuckie Egg on – despite your dad buying it for ‘home accounting’ – have to do with cars? Well, the answer is in the image above. You see, that magnificent bearded fellow is Sir Clive. And that plastic bucket he’s sat in is his car. Well, his vehicle. He never actually called it a car. Because it’s not. It’s more like something that would have been made on Blue Peter out of an old washing up liquid bottle and some spit. 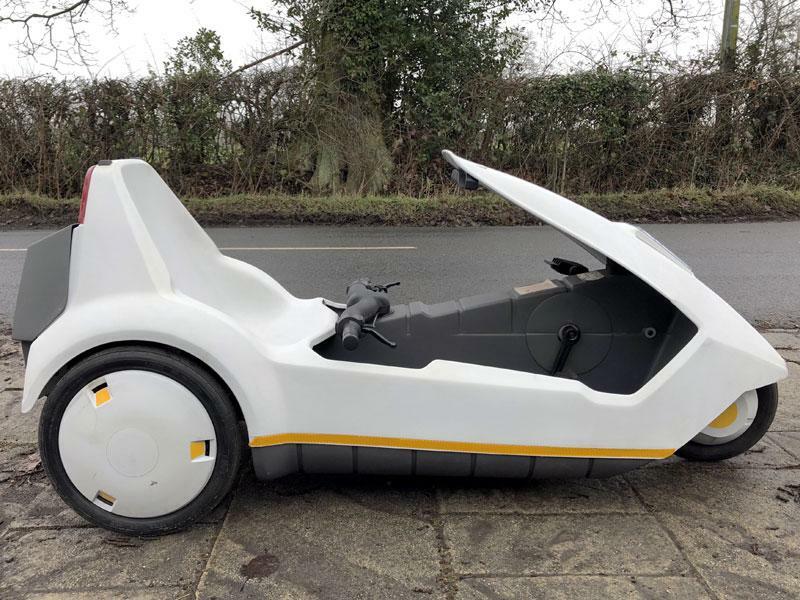 Yes, this is the Sinclair C5. Sir Clive was a man who could see into the future. 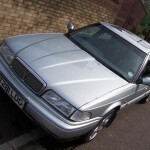 Much like Rover could, with the Streetwise. Sadly though, and again, much like Rover, Sir Clive’s view was not yet shared by everyone else. Had he been a few years later with his idea, things might have been different. 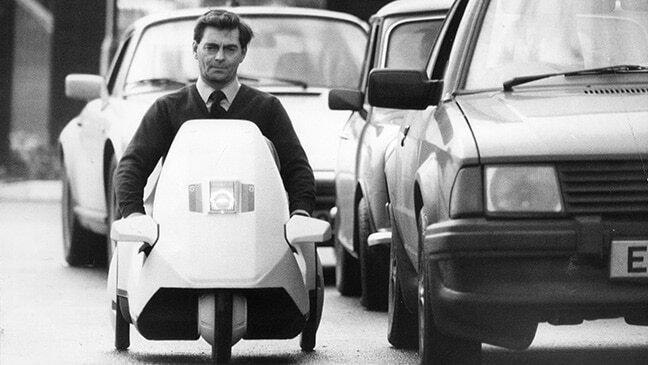 When Sir Clive announced his plans to revolutionise the concept of personal transport, many scoffed, but at the same time – and owing to the success of his computer – many also watched with curiosity. Sir Clive was a proven businessman and something of a revolutionary, so perhaps he was onto something with his dreams of changing the face of personal transport. Then it came to light that Lotus would be designing the chassis, which got people really fired up. And then it was discovered that, um, Hoover would be screwing the vehicle together. Hoover. The people who get dust off your floor. It was confusing, but at the same time, it was positive. Hoover’s facility was based in the commercially suffering town of Merthyr Tydfil, so perhaps this was some sort of philanthropic olive branch from Sir Clive? In reality, Hoover’s involvement came about because the vehicle Sir Clive had penned more closely resembled a vacuum cleaner than it did a car. It was an odd duck. Three wheels, only one seat that saw the ‘driver’ in a recumbent position. Handle bars UNDER the knees and a shade of grey that was deeply depressing, despite the addition of the odd yellow bit. Named the C5, it boasted electric power. However, the range was only 20 miles, and even in 1983 that was laughable. Still, you could pedal it when the battery went flat, so at least you wouldn’t be stranded. You might, however, have been wet. This was a British designed and built vehicle that offered no weather protection other than some waterproof clothing in the back pages of the brochure. Brilliant. The C5 was, as you can see, very small, too. At just 31.3 inches high, it was the perfect height for being dragged under the wheels of anything larger. Like a Mini, or a pushbike. The C5’s advertising boasted that you could use it on the road, but in reality to do so would be lunacy. That or you’d need to be the bravest human being alive. Not that you’d be alive for long. To address this, Sinclair offered a solution. It was a big stick with a high-visibility flag on it. No, we’re not making this up. And it gets worse. The flag was an optional extra. 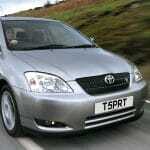 In fact, so were mud flaps, indicators and seat cushions. So for the £399 asking price, all you essentially got was a polypropylene bucket with wheels. Noice. Sir Clive had high hopes for his vehicle. He charmed Hoover with the promise of 200,000 in year one, building up to 500,000. In reality, only 4,500 were ever sold while another 4,500 were left in the hands of Hoover when the whole enterprise went belly-up in ’85. The C5 took the notion of a disastrous episode of Dragon’s Den and turned the anguish up to 11. In the end, the project cost Sir Clive upwards of seven million quid, and that’s personally. The business still owed suppliers and there was also the undisclosed sum paid to Hoover. It was an unmitigated disaster. Fuelled by determination and optimism for a revolution in transport, it simply wasn’t something the public wanted. Since those days of failure, the C5 has seen something of a resurgence. For a while, owing to their rarity, they were seen to be changing hands for figures up to £5,000. That was silly, and much like Sir Clive, the people who paid that amount ultimately lost out. Now the C5 has a cult following, with functional C5s cropping up on the open market from £500 to £2,000. They’re now celebrated as a perfectly imperfect representation of British eccentricity and industrial gusto. Sir Clive might have failed with his C5 endeavour, but ultimately, at least he tried. He built this little three-wheeled oddity with passion and heart, and for that alone, the C5 is worth appreciating. “I always wanted a C5. When Sinclair did the ZX Spectrum, it used the Z80A processor. C5 is a hexadecimal value. Most hex values have an associated operation code with the Z80A. This is an op to tell the processor to do something. The opcode for C5 is “Push BC” which was to put a value into the BC variable. In my mind, BC stood for Battery Car. So C5 meant Push Battery Car.